Discussion in 'Reading Pad' started by londoncuppa, Apr 24, 2018. I thought it might be neat to post/share any layouts we do about our fabulous book club here at The Pad in a thread for all of us to see (since it's so easy for things to get lost in the gallery because of how quickly it moves). 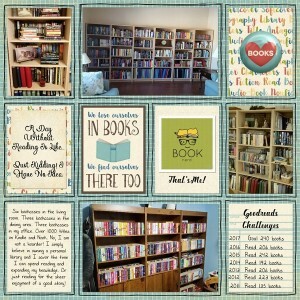 I was just going to post my layout, but then I thought my fellow Peeps might do pages about these books too and might like to share (or pages about other books they've read and/or their IRL book club). I know I would love to see what you guys are reading. I'm always looking for book ideas, and you are some awesome ladies when it comes to book suggestions. I've loved everything in the club so far! 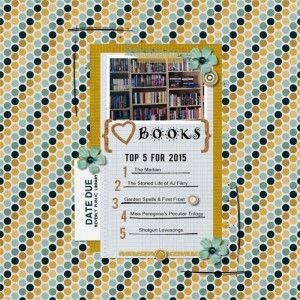 If you need some layout inspiration, there are so many kits currently in the store that are book-themed (many are new this year), and with iNSD just around the corner, I can hear those shopping carts getting full...lol! So...here are my first two to start out with. One is about my IRL book club I started a few years ago, the Stinky Cheese & Wine Book Club (only 3 members shown in the pic), and the other layout is about our awesome club here at The Pad. MrsEm, jenn mccabe and bellbird like this. Iowan, MrsEm, jenn mccabe and 1 other person like this. Those are awesome, Karen! Thanks so much for sharing. I’m going to carefully go through those titles because I already spot some that I haven’t read, but the covers look interesting. Aren’t books just the best? Margaret @londoncuppa and Karen @Karen these are all awesome! I did one layout about the books I read, but I need to do another one for last year and this year. Thanks for the incentive!
. . . I don't usually scrap about any one individual book, but I do a layout at the end of every year and list all the books I read that year. Wow! 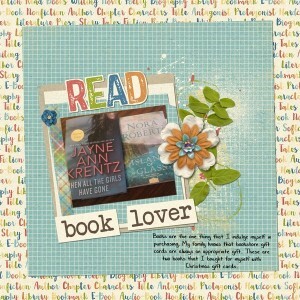 Keep this up Karen and you will be able to make a scrapbook just about your reading! I've made a couple of layouts about my reading. Only in the last couple of years did I pick up fiction-reading enough to make a worthy page. I was a voracious reader before I had kids, then nearly stopped reading novels -- other than those for kids -- for over a decade. Here's my 2017 layout about my reading. I made it for MOC6 Day 3. I've already forgotten what the assignment was. A two page layout maybe. In 2016 I made my layout as soon as I reached my Goodreads year goal, even though it was only October. So a couple of books I read at the end of 2016 are not accounted for in my scrapbook. I was so excited to have reached the goal, my first one, which I'd been so reluctant to set in previous years thinking it was silly for me to need a reading goal, since I love reading so much. Turns out, it made a difference though! londoncuppa and michelepixels like this. Karen and londoncuppa like this. Those are great pages, Michele! I’m going to have to comb through your books too to get some selection ideas for my IRL Book Club. Every meeting of my IRL club, we’re allowed to drop in 3 book selections in the jar. We have a giant Mason jar full of folded up pieces of paper, and that each meeting’s host draws from the jar for the next book. We empty the jar and start over every six months. MrsEm and michelepixels like this. It works most of the time. Sometimes a selection will come out and everyone is like...huh??? Even the person that put it in the jar will say to forget it because they didn’t know what they were thinking when they put it in. It can get funny. Those get trashed, and we draw again. We’re all great friends and want to keep it that way. KWIM? So far, so good. We also have a Naughty Jar for those that didn’t finish the book. MrsEm and busywoman139 like this. Well, here's the layout I've been working on. These are all books that I've read and really liked. The book "Detroit" is a true story about the rise and decline of that city. We've spent a lot of time there, DH was at the GM building a lot, so this was a fascinating book to read. MrsEm, Karen and londoncuppa like this. I love this thread! Thanks for the inspiration! This is awesome, Cheryl! I’m fascinated by these titles; definitely going to have to check them out. Love your layout! The list of books that I want to read is so long now that I think I’ll be in my 90’s (or dead) before I get even a bit close to finishing. Same here. Haha. I have accumulated hundreds of books that are waiting for me on the Amazon Cloud. I'm making myself go back to the very old ones I saved and downloading some of them. Amazon doesn't give away the books like they used to. Now they want to charge us 9.95 for "Prime Reading". I nabbed them all those years they gave them away, though. Great layouts Cheryl!!! 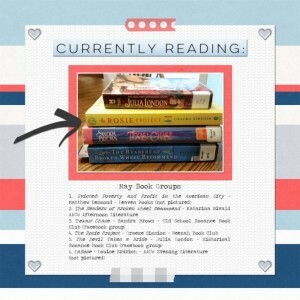 I'm checking out your selections too... and my to-read list grows again! Cherylndesigns and londoncuppa like this. Here's a LO of my 2017 top 5 TBR. Besides Hunger, which I read as fast as possible, I am proud to say I've started all of them but I'm not so proud to say that I haven't finished any of them. Time keeps getting away from me and their loan time ends. MrsEm, londoncuppa, Karen and 1 other person like this.